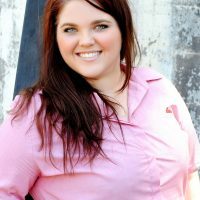 After growing up in Palmerston, Gillian commenced her real estate career in January 2009 as the receptionist for the Palmerston office of Elders Real Estate. In just five years, she has advanced to be one of two trust accounts administrators for Elders, providing support to approximately twenty-two administration and property management staff across three branches. After successfully winning the 2013 REINT Corporate Support Person of the Year, Gillian represented the Northern Territory as a finalist in the same category at the REIA 2014 National Awards for Excellence down in Hobart. Having lived in the Territory for over eighteen years, her local knowledge, friendly attitude and attention to detail delivers a superior service to her colleagues & clients alike. After purchasing her first home in Palmerston, Gillian continues to enjoy her work and looks forward to many more years with Elders Real Estate in the Territory. Would you like to speak to Gillian? If you’re thinking about renting or selling your property and you’d like a clearer picture of how much your property might be worth or want to have an informal chat about general property market trading conditions, Gillian will be happy to arrange a full market appraisal of your property.